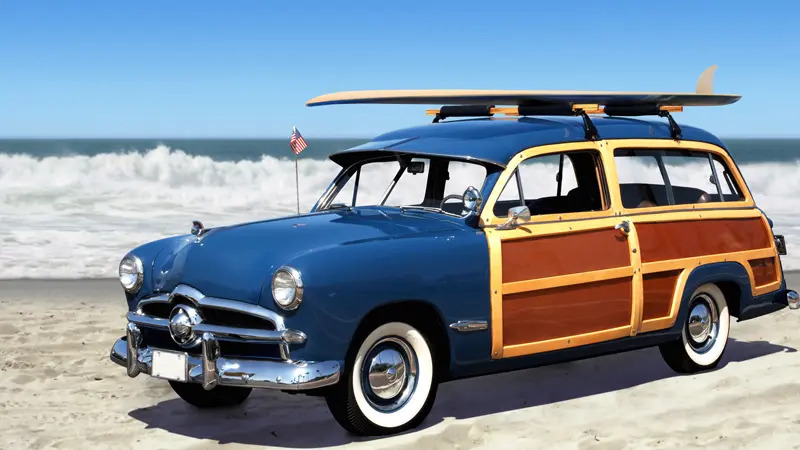 The stereotypical image of a “Woody” station wagon with a surfboard on the roof is missing one critically important element to make it part of the perfect day on the beach: an audio system. In the 1960s, the aftermarket car audio scene was weak. Compared to now, there weren’t any options for source units, speakers or amplifiers, and certainly nobody had a subwoofer. All of that has changed. 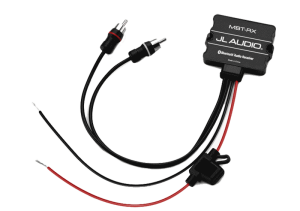 Today, aftermarket car audio upgrades can transform your daily driver or project car into something stunning. Let’s think back to our mental image of a ’60s Chevy Woody wagon, but update it with modern speakers, amplifiers and – of course – a new source unit. 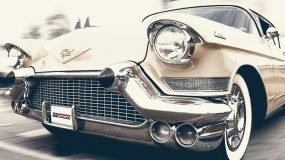 This article discusses some of the source unit options available to people who are restoring a classic car, building a hot rod or doing anything in between. 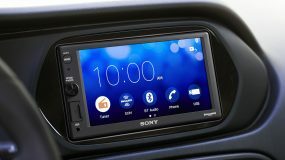 If you are building a street rod or are willing to take some liberties with the look of your dash, then cutting an opening for a single-DIN radio or making a console for a double-DIN radio provides you with an excellent opportunity to have all the latest features and technologies right at your fingertips. Bluetooth hands-free calling is essential to your safety when on the road. Audio streaming will let you play music from your smartphone or a streaming service wirelessly to your radio. Digital media file playback provides you with a way to access your modern MP3 music collections. Finally, navigation systems can help get you where you want to go quickly and safely. Many modern radios have the ability to change the color of the controls and the display. You can match the color of your radio to a set of incandescent bulbs in the gauges of a ’30s roadster or the blue glow of a set of new digital gauges. Some people set the radio to match the color of the car. 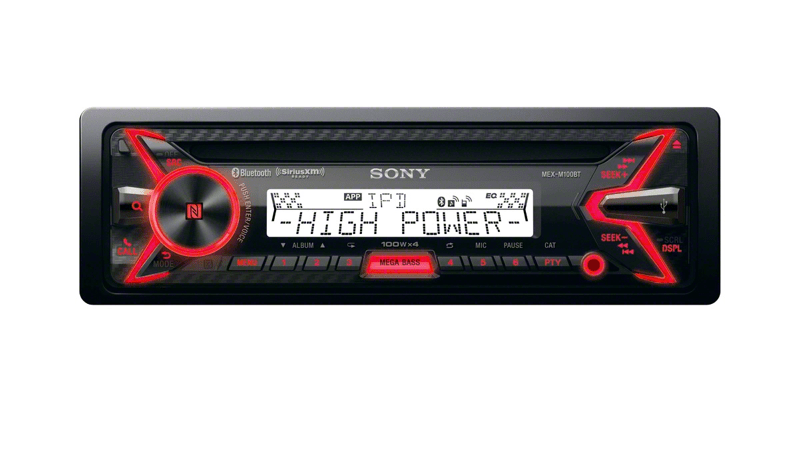 Several manufacturers produce modern radios with traditional twin-shaft mounting systems. These radios include features like USB ports for your digital media collection or your Apple iPod or iPhone. 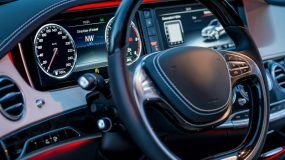 Bluetooth audio streaming and hands-free calling functions are standard on many models, and SiriusXM satellite radio connectivity will let you enjoy genre-specific programming from coast to coast. These radios feature vintage styling with simple LCD and LED displays where the old analog tuner used to be. Multi-function knobs on either side of the primary display handle controls for volume, tuning and source selection functions. These radios include between 18 and 25 watts of power from the built-in amplifier and have pre-amp outputs for adding external amplifiers. Connectivity with the latest devices may not be as up to date as with a modern aftermarket radio, but these vintage radios can conceal themselves well in your dash. If you are working hard to keep the interior of your vehicle looking original, then your best bet is not to show off a new radio at all. Some people will mount an aftermarket radio in the glove box or under the front seat. These radios are still accessible while you’re driving, but not as easily. 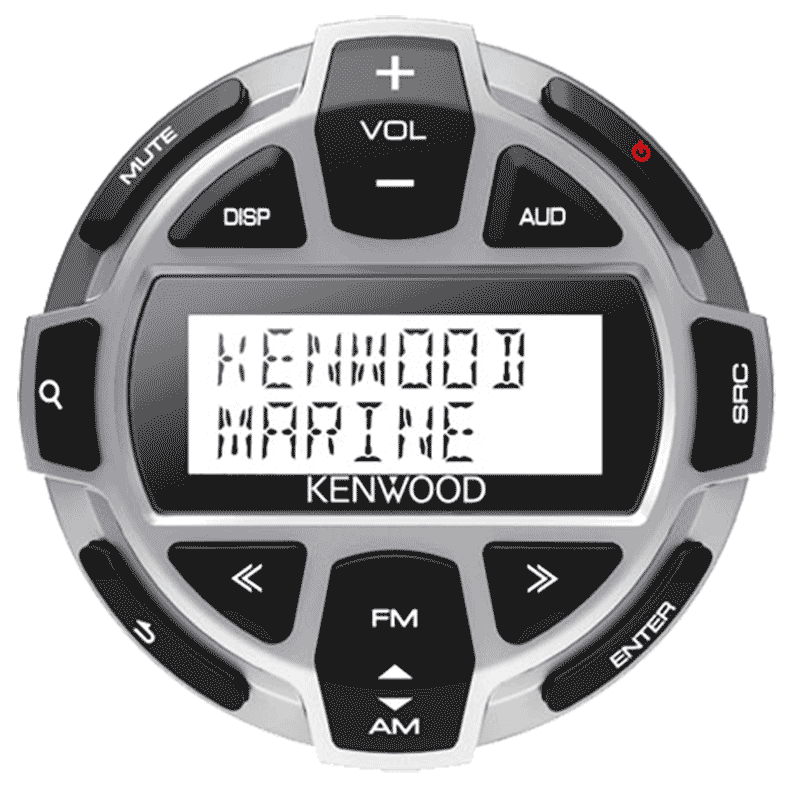 For several years, the hot ticket was to install a marine radio in the trunk or a storage compartment. The driver would have access to a wired remote control to change the volume or source. 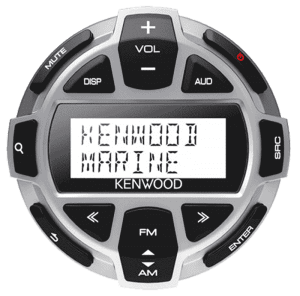 These marine remotes often include small displays to let you know what station or track you are enjoying. Modern marine source unit remote solutions include IR and RF remotes, as well as iPod or iPhone remotes that use WiFi for communication. You can use your radio quite easily without being able to see it at all. One “trick” that people often forget about is to use an OEM steering wheel audio control interface with a set of custom switches to control the radio. Your installer can program a set of switches with unique resistor values to perform almost any function you want. A spare four-way power window rocker switch makes a great volume and track selection control. You could use power window and power lock switches on a door to perform similar functions. The options for custom remote controls are nearly endless. The modern smartphone has started to replace radios altogether in some projects. Being able to stream radio stations over the Internet or use services like Pandora or iHeartRadio makes your cellphone and its wireless Bluetooth connection the only source you may need. 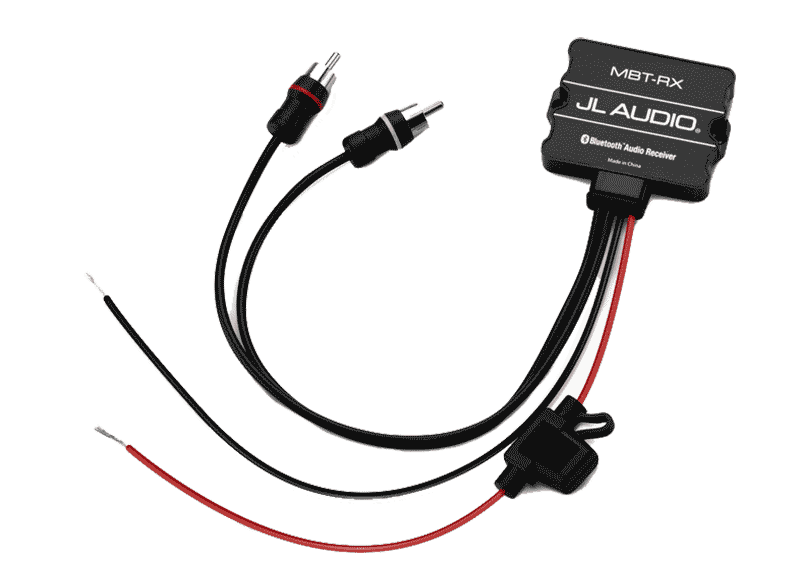 In the most basic of applications, your installer can connect a stand-alone Bluetooth receiver to a small amplifier and new speakers. The volume control on your smartphone will serve as the master volume control for the sound system. The system will power up as soon you connect to the Bluetooth module and start streaming audio. If you are after a better-sounding system, then you may want to look at a signal processor with an optional Bluetooth streaming module. 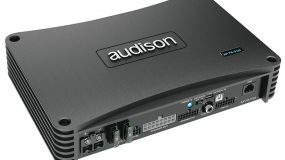 Several digital signal processors (DSPs) on the market can stream high-quality audio directly without the need for a source unit. The audio processing functions of the DSP will allow your installer to maximize the performance of each speaker in your system and create an amazing sonic experience. Before you get too deep into your restoration or project build, contact your local mobile enhancement retailer today to discuss suitable source unit options for your vehicle. They will be able to explain the benefits of each system and provide you with all the information the restoration shop you are working with will need to bring the concept to fruition. No matter what source unit option you choose, having great speakers and amplifiers in your classic car or hot rod will make going for a cruise much more enjoyable.